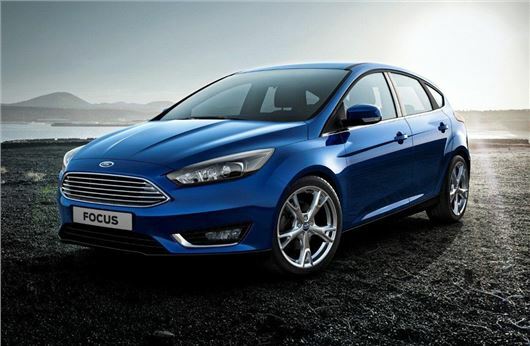 The revised Ford Focus will be priced from £13,995 when it arrives in dealerships in November. Most prices remain unchanged from the current Focus and Titanium and Titanium X models are in fact £100 cheaper than the current models. The whole pricing brochure is below but the same six trim levels remain with the Studio priced from £13,995 followed by the Style which starts at £16,795. The popular Zetec costs from £18,295 while the top Titanium X is £21,795. New engines include a 1.5-litre EcoBoost with 182PS which replaces the current 1.6-litre engine but has better fuel economy figures and lower CO2 emissions at 127g/km. The 1.5 TDCi diesel has been tweaked and the 120PS engine now emits just 98g/km of CO2. New options include a Perpendicular Parking system - the first time this has been seen on a Ford. It builds on the Active Park system but goes one further allowing drivers to reverse into spaces alongside other cars. It uses the same ultrasonic sensors and steers the car in while the driver controls the accelerator and brake.